I have an unnatural obsession with corn. Whether it’s popped, on the cob, creamed or roasted, I love it in all its forms. Kyle has stopped asking for my input for recipes because anytime we do a casserole or a dish that needs a little something extra, I suggest adding corn. Partially, because I think it is delicious. Partially, because of the low-brow bathroom humor/comments that come from it. But, most importantly because of the following clip from my favorite TV show, 30 Rock. I literally say “CORN” like that all the time. It never gets old. 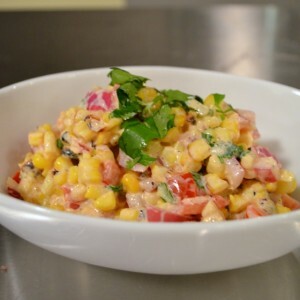 So, I can’t wait to bring this light and refreshing salad to a summer potluck or barbecue and encourage everyone to try the charred CORN salad. Leaving a few layers of husk, remove outer layers of husk and silk from corn. Completely submerge in water for 15 minutes. 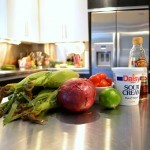 Meanwhile, combine red wine vinegar, water, kosher salt and sugar in a small bowl and place red onions to soak. It’s OK if they’re not completely covered, just toss them every few minutes. 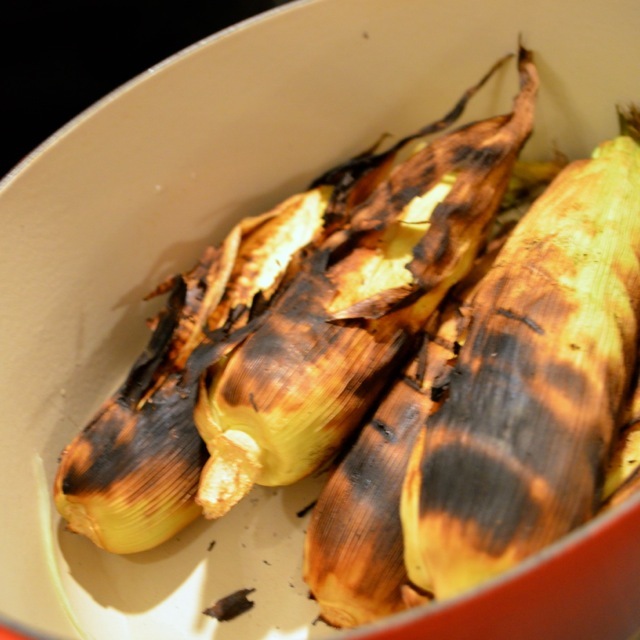 Heat your grill on medium heat (about 350), place corn on hot grill and rotate every few minutes as the husks start to char. Once the ears are charred on all sides, place on an upper rack or away from hottest heat and let cook for an additional 15 minutes. Let cool and remove husks. If your ears aren’t charred enough, you can coat them with butter or a little olive oil and broil them in your oven. Remove from grill and put into an ice bath for several minutes. 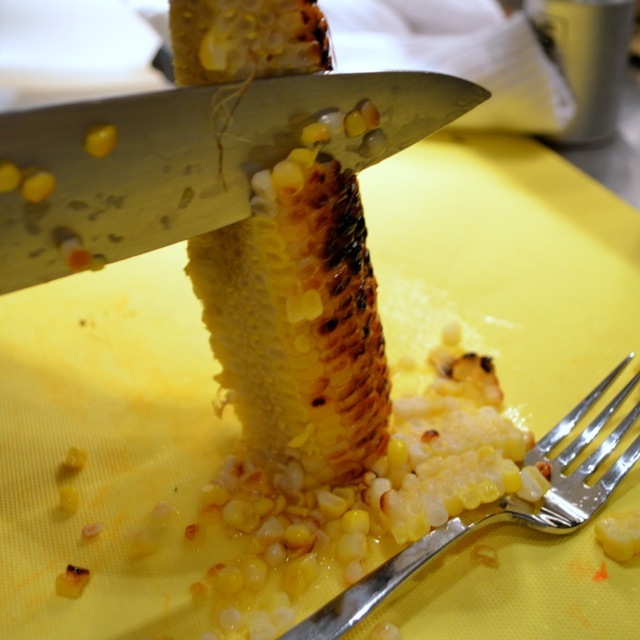 Once cool enough to handle, carefully use a knife to remove the kernels from the ears of corn. 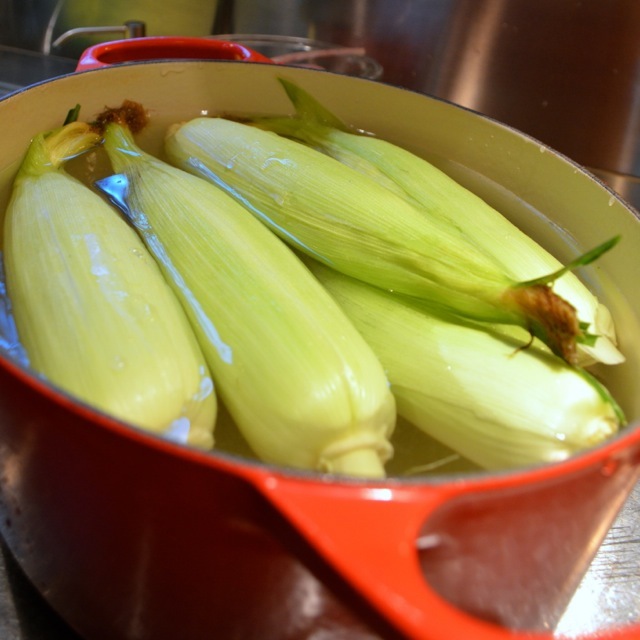 In a small bowl, whisk together the dressing mixture along with 2 teaspoons of the pickling liquid and set aside. 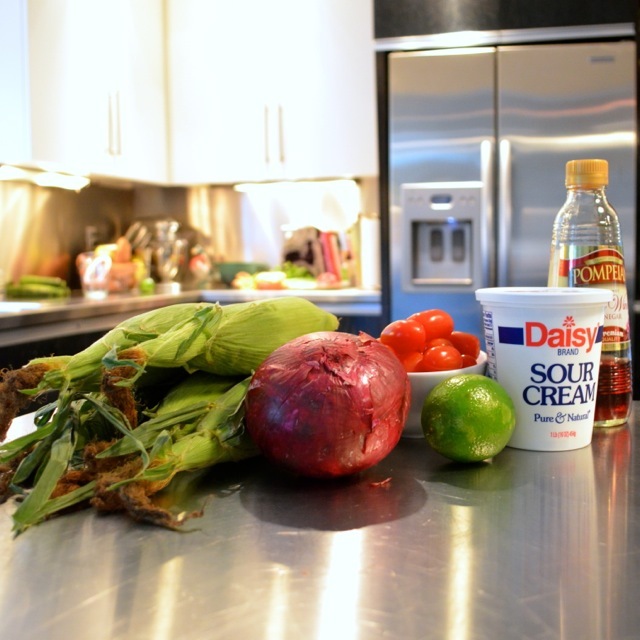 In a large serving bowl, combine tomatoes, corn, and pickled onions. Stir in the dressing. Serve immediately, or cover, chill and serve. One Response to "charred corn salad"
this was a great recipe! very easy to make and super delicious. I used the left overs to make a cold pasta salad with whole wheat shells and grilled chicken the next day for lunch. Great for the summer time!